When the CDJ-500 was first introduced back in 1994, turntables ruled the roost. Since it was geared towards vinyl DJs moving into the digital realm, the design focused on emulating the classic turntable. For instance, the jog wheel was introduced in order to give DJs a way to “nudge” the track back and forth… similar to what you might do when touching a record. 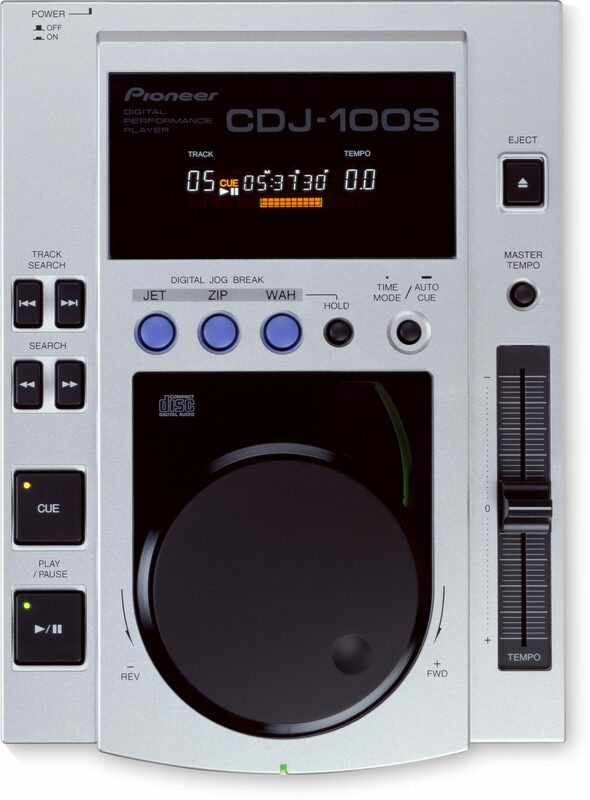 The CDJ-1000 was the model that established Pioneer players as the industry standard in the DJ booth, especially after the MK2 model was introduced in 2003. Nowadays, the CDJ-2000NXS2 is the king of the booth. Large-scale festivals and clubs all over the world hold a set of “Nexus” or “Nexus Two” players. 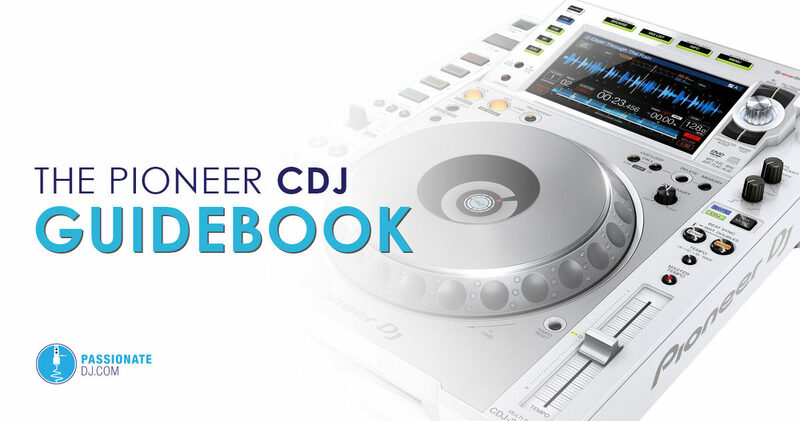 This guide seeks to be the most complete, and accurate source of data available for all Pioneer CDJ, XDJ, and other Multiplayers. Which CDJs have USB playback? 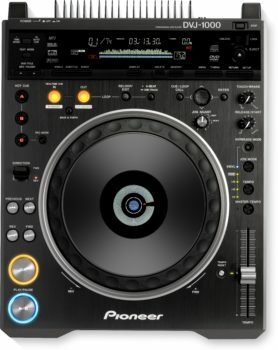 Which CDJs work with Traktor (or Serato/djay PRO)? Are CDJs better than controllers? Are they worth it? 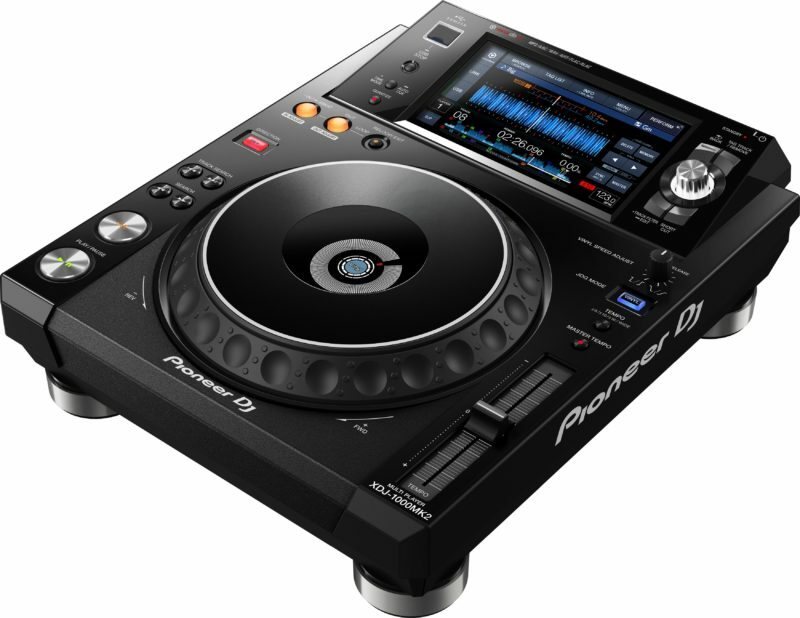 What’s the best Pioneer CDJ? What are the best CDJ alternatives? CDJ – a line of media players that allow for control and manipulation of CDs (or other digital audio formats) using an emulated vinyl turntable surface. XDJ – a line of media players similar to CDJs, but without a slot for CDs. These units play music from USB key, or other digital media. We’ll use the term CDJ interchangeably here, unless otherwise specified. Master Tempo – a function which allows the DJ to change the playback speed of a track without affecting it’s pitch. Some software refers to this as key lock. Jog Wheel – a feature of all CDJs in which a wheel (also known as a jog dial) allows for music scrubbing, pitch bending, and/or scratching. The first jog dial was actually present on the Technics SL-P1200 in 1986. Slip Mode – a feature which allows you to manipulate audio (scratching or looping, for example) while the song continues to play “underneath”, unaffected. When you stop manipulating the audio, playback continues from the point it would have, had you not touched it. Pro DJ Link – a LAN (network) connection which allows you to share a music source across multiple players. When combined with Rekordbox, you can access pre-prepared loops, cues, sync/quantize, and more. HID Mode – a type of connection over USB which allows your CDJs to be used “as controllers” in DJ software. HID mode is a more accurate, higher resolution method than traditional MIDI. Rekordbox – a free Pioneer application for managing music which can be played back on compatible players. Libraries can be prepared and exported (to a USB key, for example), which allows you to utilize the full features of the player. Rekordbox DJ is also available as a full software suite for DJ performance, allowing you to play directly from your laptop. All current CDJ and XDJ models feature USB playback (2000NXS2, 900NXS, XDJ-1000MK2, and XDJ-700). 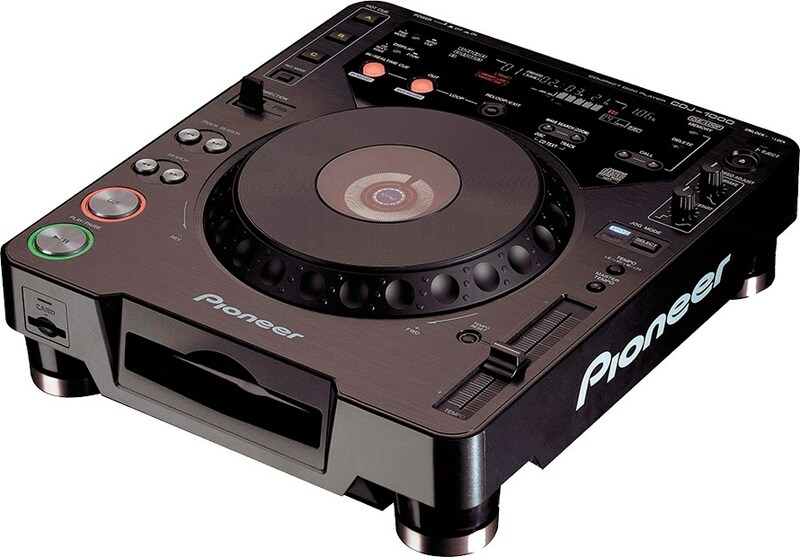 Several discontinued models also play from USB media: CDJ2000NXS, XDJ-1000, CDJ-2000, CDJ-850, CDJ-900, CDJ-350, and CDJ-400. All current CDJ and XDJ models offer the Sync feature (2000NXS2, 900NXS, XDJ-1000MK2, and XDJ-700), as does the now-discontinued CDJ-2000NXS and XDJ-1000. All current CDJ and XDJ models are Rekordbox-compatible (2000NXS2, 900NXS, XDJ-1000MK2, and XDJ-700). Several discontinued models also offered some level of Rekordbox support: CDJ-2000NXS, CDJ-2000, CDJ-900, CDJ-850, and CDJ-350. Well… that’s subjective, and the answer will vary between DJs. Controllers can indeed offer better value, especially when comparing onboard features and price-points. 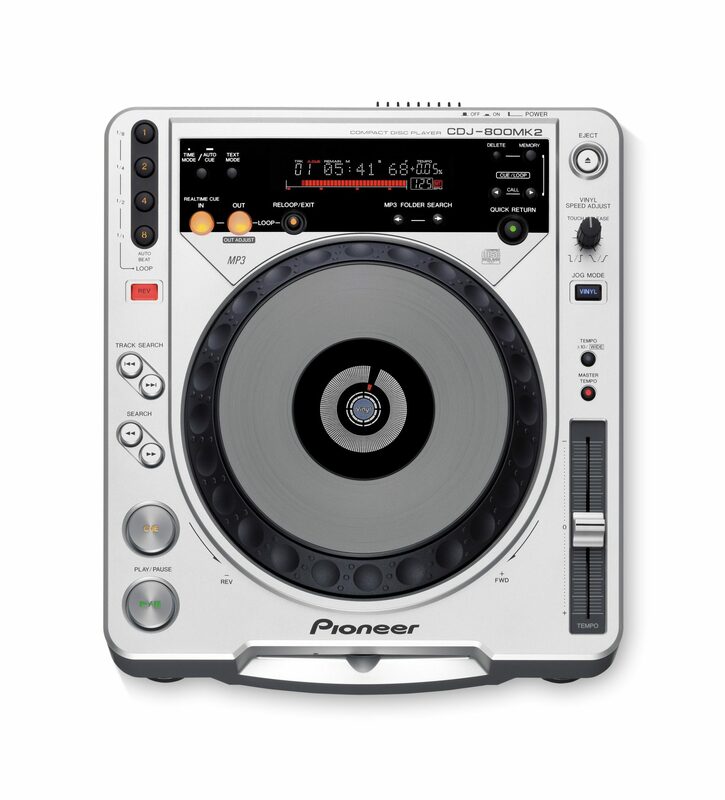 CDJs exist to give a standard shared platform for DJs. Many venues already have them, and they are the expected standard for any large show. But that’s not relevant to all kinds of DJs, and like all things… it comes down to a matter of preference. CDJs and XDJs allow you to remove your laptop from the equation, which is important to some. This can only be answered on a case-by-case basis. On a tighter budget, the XDJ-700 (or older discontinued player) makes the most sense. 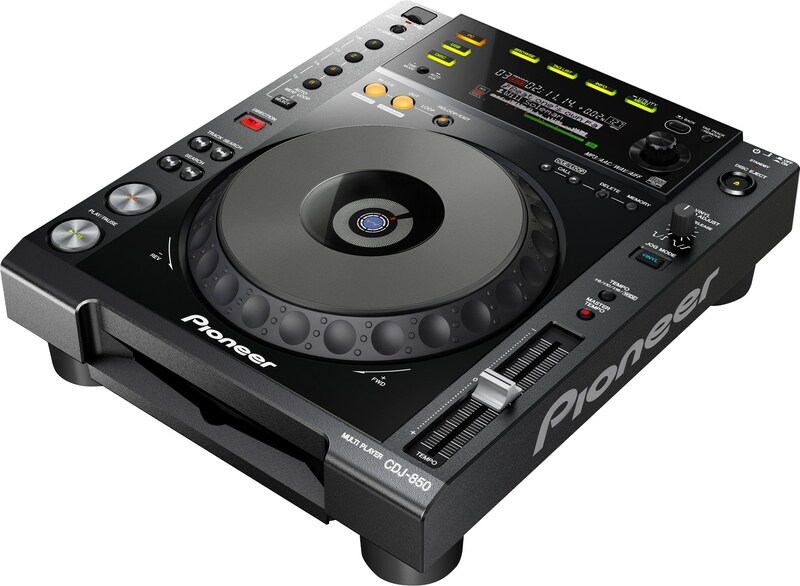 If you are an event promoter and need to fulfill technical riders, you want the CDJ-2000NXS2 without question. If you happen to throw the largest festivals in the world, the rugged TOUR1 is up to the task. This guide can help you make a determination on which players make the most sense for you. The current king of the booth, the CDJ-2000NXS2 is literally the standard that other players reach for. This re-release of the original CDJ-2000NXS added modern features, and has a big focus on sound quality. With a 96kHz/24-bit sound card, FLAC/ALAC support (lossless music), an improved digital output, a 32-bit D/A converter and a separate analog power supply… the audio reproduction is about as accurate as it gets. While the price puts it out-of-range for many… the robust build, professional design, advanced feature set, and focus on sound quality show why it’s truly the industry standard player. 96kHz/24-bit sound card and 32-bit D/A converter allows for high resolution output and eliminated distortion/noise. Improved digital output, and a separate power supply helps further eliminate noise. FLAC and ALAC support (for lossless playback). Qwerty keyboard display allows you to search for, or filter, tracks by Rekordbox information such as name, BPM, or key. Full multi-color wave display with wave zoom (expand or contract waveform). Needle Countdown allows you to touch a point in the track to see how many beats away it is. 8 color-coded Hot Cues, and new Memory Cues which allow you to name and color-code your cue points. DDJ-SP1 compatibility: add-on controller giving instant access to more hot cues, loops, slip mode and browsing on up to four CDJ-2000NXS2s. Sync and upgraded quantize (choose between ⅛, ¼ and ½ beat Quantize). Quantized Beat Jump allows you to jump back or forwards 1 beat from current position. Share one music source across 4 players, and enable sync, countdown, and other transport features. Phase meter with added detail. Beat grids which are accurate to the microsecond. HID support: use your CDJs “as a controller” in Traktor, Serato, djay PRO, or Rekordbox DJ. RGB USB port: pre-select a color for a certain device (such as green for drum-n-bass, purple for trance, etc.) and it will light this color when plugged in. My Settings allows you to bring your preferences with you when traveling. Your personalized settings will be enabled once you load tracks. Shortcut button gives direct access to Browse mode or My Settings. Wi-Fi Music: play music from your smartphone, tablet, PC or Mac wirelessly via Rekordbox (requires wired connection to a WiFi router). Dimensions: 12.6 in x 4.46 in x 16.31 in; 12.57 lb. 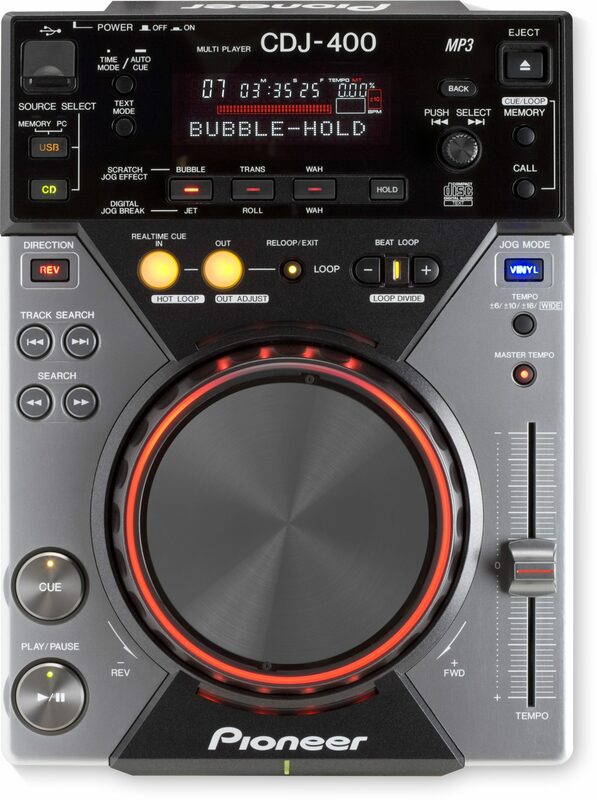 The follow-up to the original CDJ-900, the NXS version brought the player into a more modern Rekordbox era. The CDJ-900NXS provides a more complete Pioneer Rekordbox experience than its predecessor, including a full-color LCD display with zoomable waveforms, beat countdown, phase meter, etc. 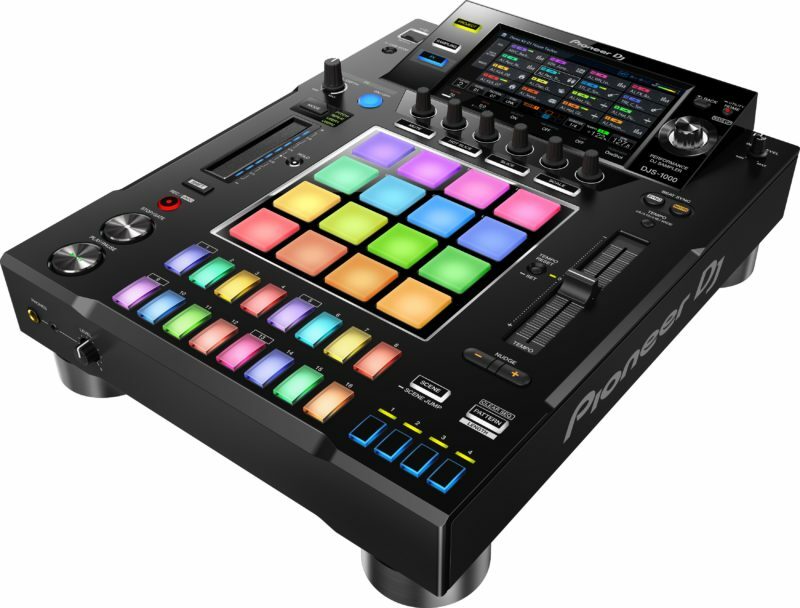 It also supports beat sync, quantize, slip mode, and beat-roll effects via the Beat Divide buttons. By eliminating some of the features that many DJs won’t use at home, you’re able to have a similar experience to the flagship 2000NXS2, but save about $800. 48kHz/24-bit sound card and S/PDIF coaxial connections provide pro-level sound. Includes beat countdown, phase meter, and key indicator. View and edit Rekordbox beatgrids. Slip mode keeps tracks playing “underneath” actions such as scratching or looping, and the Beat Divide buttons help you slice and roll a beat within a loop. Combine these two features for unique results. Control Rekordbox DJ software, and unlock performance features such as hot cues, sampling, color FX, and more. Connect multiple players or laptops and share a single music source. Access saved loops and cues, sync the beat, and access other Rekordbox features across each player. Active Loop: set automatic loops via Rekordbox, so that you never get caught unprepared at the end of a track. Dimensions: 12.6 in x 4.15 in x 15.82 in; 9.48 lb. This player inherits the same jog wheel, 7-inch touch screen, and other great features from the top-of-the-line CDJ-2000NXS2. 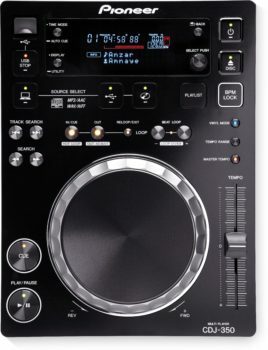 In fact, other than the lack of a CD slot… the XDJ-1000MK2 is more like the CDJ-2000NXS2 than the 900NXS is. When you add 8 Hot Cues, FLAC and ALAC (lossless playback) support, digital output, a color-coded USB port, and Qwerty search… this player starts to feel like a real value. This one is a great choice for anyone who wants a Rekordbox experience very similar to the 2000NXS2, but at around half the price. However, its continued lack of HID support for non-Rekordbox software will encourage some DJs to buy used original models. 48kHz/24-bit sound card and Digital Out connections provide pro-level sound. FLAC and ALAC support means you can play lossless music. Separated power supply reduces noise. DDJ-SP1 compatibility: add-on controller giving instant access to more hot cues, loops, slip mode and browsing on up to four players. Sync and upgraded quantize. Quantized Beat Jump allows you to jump back or forwards 1,2, or 4 beats from current position. HID support: use your CDJs “as a controller” in Rekordbox DJ software. Dimensions: 12.01 in x 4.33 in x 15.06 in; 8.16 lb. 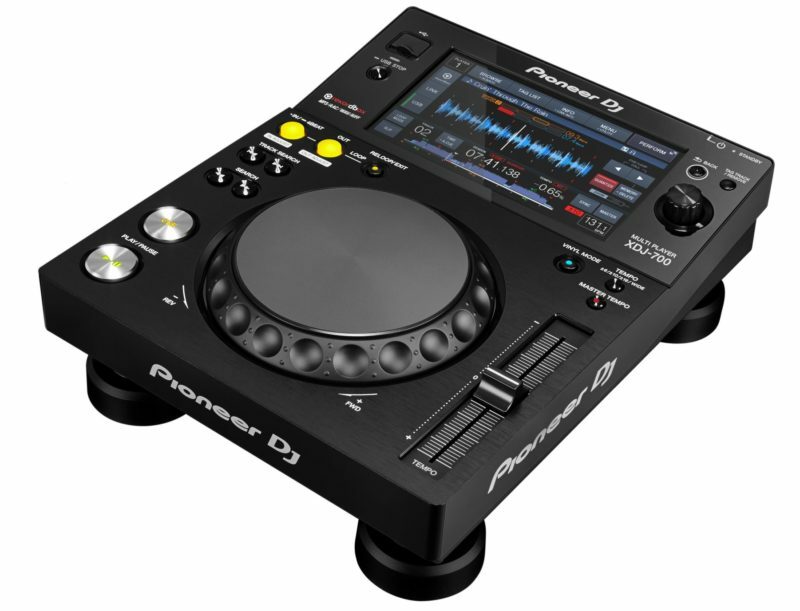 Pioneer offers this more budget-friendly alternative to the CDJ/XDJ lineup. While fairly basic, it retains a surprisingly good set of features. The XDJ-700 is also a much more compact player, and ships with a removable stand. This allows for a variety of setup possibilities, even in smaller DJ booths. Even though it’s a smaller deck, it still has a large 7” touch screen which gives great access to track browsing (with a Qwerty keyboard), hot cues, loops, and full-color waveforms. Dimensions: 9.37 in x 4.17 in x 12.13 in; 4.41 lb. These solid players are spiritual successors to the CDJ-800mk2, with many features borrowed from the 900. Taking aim at the bedroom/home market, the top portion is laid out just like a 900, except the screen is flat instead of angled. It has full Rekordbox support, the excellent .02% pitch resolution of the 900 (unlike the lamented .05% on the 800), and support for USB playback. It’s worth noting, however, that it does not support Pro DJ Link. That means that, unlike the big brother 900 and 2000 units, you had to have separate USB sticks for each player. The unit also does not contain the on-deck sync or quantization available in the upper models… and of course, doesn’t support on-screen waveforms. 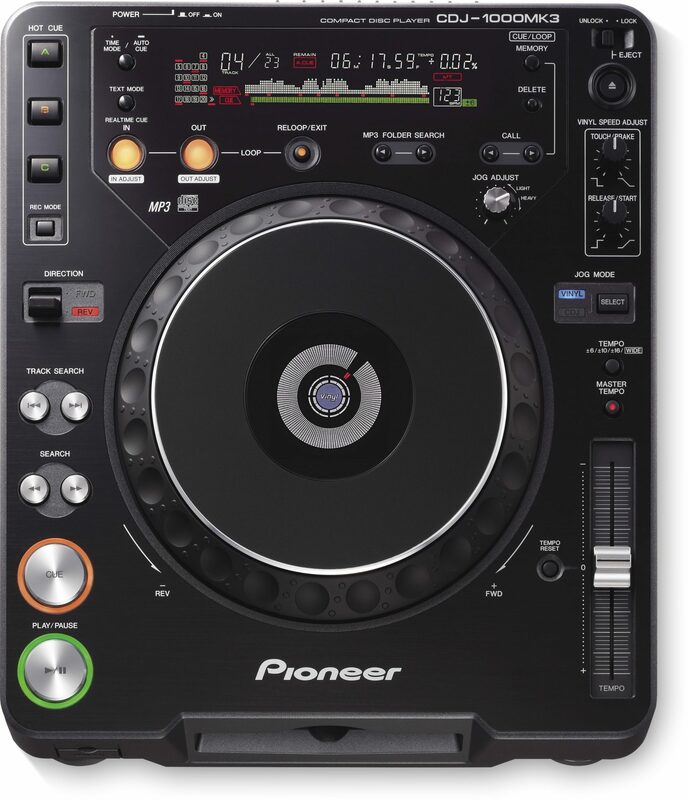 Otherwise, the CDJ-850 functions much like the top-of-the-line Nexus systems without the high price tag. Manage your tracks, and deliver a smooth performance, by preparing your music in Rekordbox. The 850 plays your MP3, WAV, AAC, and AIFF files on USB devices. Use the CDJ-850 “as a controller” to gain full control over your favorite DJ software. Use HID mode in Traktor, Serato, or Pioneer’s own Rekordbox DJ software. Press the Auto Beat Loop buttons to set 1, 2, 4, or 8 beat loops that are precisely snapped to the rekordbox beat grid. The ultimate mothership of CDJs, geared towards large-scale production rather than home users or nightclubs. It shares the layout and features of the CDJ-2000NXS2, but contains a few beefed-up audio components and a large fold-out screen. That’s right, in addition to the onboard 7-inch touch display, you get another fold-out 13-inch touch screen. This gives the DJ “enhanced control” over things like track browsing, and allows you to see waveforms from up to 4 CDJs at the same time. It comes with tilt adjustments and sun shades for outdoor use. The CDJ-TOUR1 also features a high-end D/A convertor made by ESS Technologies (for incredibly low distortion/noise levels at insane volumes), reinforced sides, isolator feet, and latch-locking LAN ports. Combine this with a DJM-TOUR1 for the ultimate (expensive) festival or arena setup. 96kHz/24-bit sound card and a special 32-bit D/A converter made by ESS Technologies, allows for distortion-free output at high volumes. Separate power supply helps further eliminate noise. Tilt 13” screen to suit your preference, or attach the display shade for outdoor use. Isolator feet for stability on any surface. NEUTRIK etherCON® connectors for latch-locking LAN ports. Share one music source across four players, and enable sync, countdown, and other transport features. View parallel waveforms from up to four players on a shared screen. 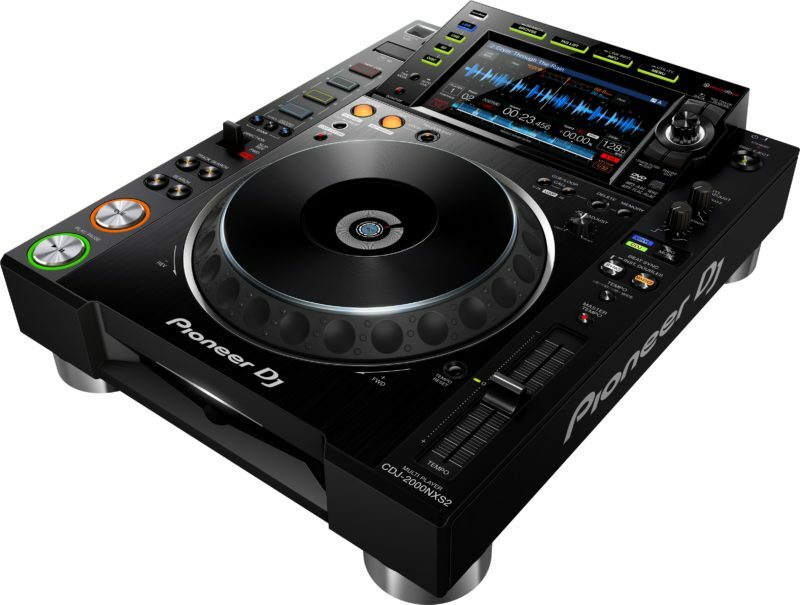 The DJS-1000 is a performance deck which gives additional creative possibilities to the DJ. Rather than playing full songs, this deck is used for sampling, sequencing, and looping sounds in various ways… adding a more “live” element to your set. With a similar form-factor to the CDJ-2000NXS2 and the ability to sync up to your Pioneer system via Pro DJ Link, the DJS-1000 fits in and plays nicely with the rest of your gear. Sample input sounds, and automatically sync them with the current sequence. Play them in a loop or sequence them into a custom beat. The live remix possibilities are endless. Use the 16 multi-colored step keys to program new grooves on the fly. Keys change color to provide visual feedback. Large rubber pads, with velocity-sensitivity, allow you to layer sounds or finger-drum with precision. Sample sounds and instantly synchronize them with the active sequence. Tap the large 7” touchscreen to instantly access one of three screens: Home, Sequence, and Mixer. Use the touch strip to adjust the pitch, play an automated drum-roll, or activate a custom parameter. Ships with a library of Loopmaster samples for immediate performance. Fully compatible with projects made with DJS-TSP Project Creator, or the TORAIZ SP-16. Sync up to an existing CDJ/XDJ setup via Pro DJ Link. Dimensions: 12.6 in x 4.33 in x 16.6 in; 11.9 lb. The model that started it all! 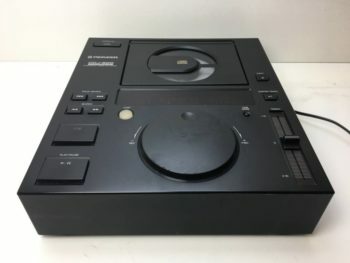 This was the first CDJ, and boasted a number of industry firsts. The top-loading, flat-top design was well-suited to DJs transitioning from the world of vinyl. It was designed for immediate playback without latency (for accurate cueing), and was the first Pioneer CD player to feature a jog dial. These early players even featured fader start (a feature which allows you to start music playback using the crossfader or a channel fader on a compatible DJM-model mixer), looping, and “Master Tempo” (key lock). Pioneer truly lived up to their name by conceptualizing this piece of history. 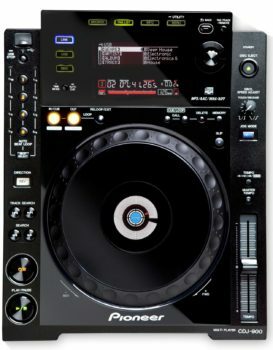 Effectively the mark 2 model of the original, the CDJ-500II (and the similar CDJ-500ii Limited) featured minor improvements. It’s performance was slightly faster, it had an adjustable “loop out” point (another industry first), and the max loop length was increased to ten minutes. 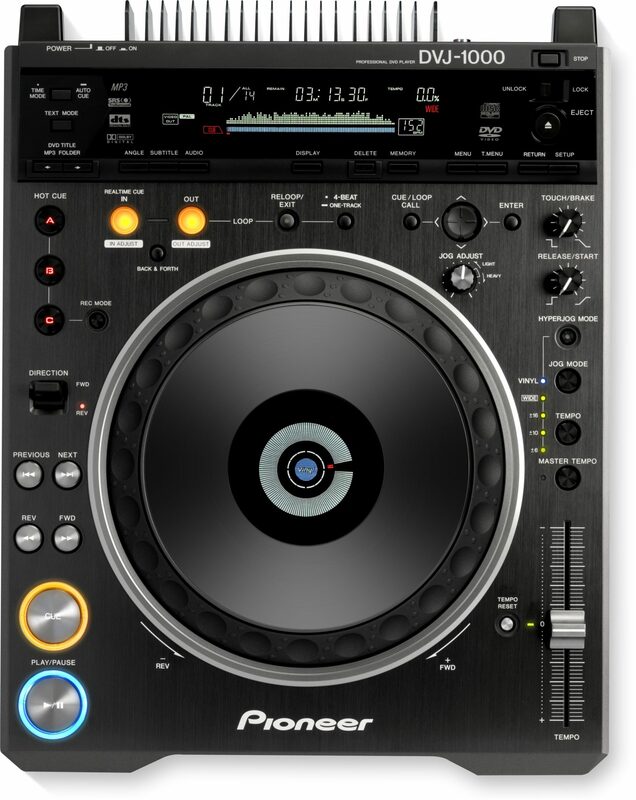 The CDJ-500S was released as the CDJ-700S in the United States, which is why they are listed together here. The “S” in 500S stands for “small”. Pioneer had learned a few things since introducing the CDJ in 1994… such as the fact that space was often limited in DJ booths! These players also had a ready-made installation bracket which allowed them to be installed above traditional turntables… and two side-by-side players could be mounted in a standard 19″ rack. Pioneer also made improvements to reliability, and introduced the oil-damped shock absorption system which is still in use by modern CDJs. 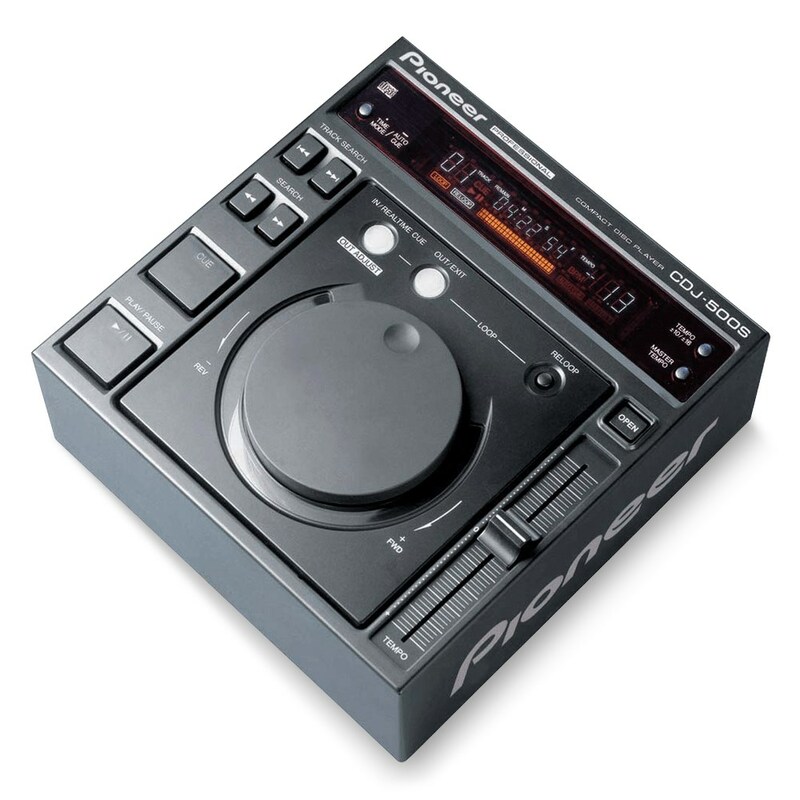 In 1998, Pioneer introduced the first “bedroom model” of the CDJ lineup. The 100S (this time, the “S” stands for “Silver”) ditched the top-loading CD tray for a front-loading slot… a design cue that would continue for years to come. The 100S introduced three on-board sound effects (Jet, Zip, and Wah). Outside of this, the 100S was a very basic and cheap model intended for home use (notice the lack of loop controls, for example). 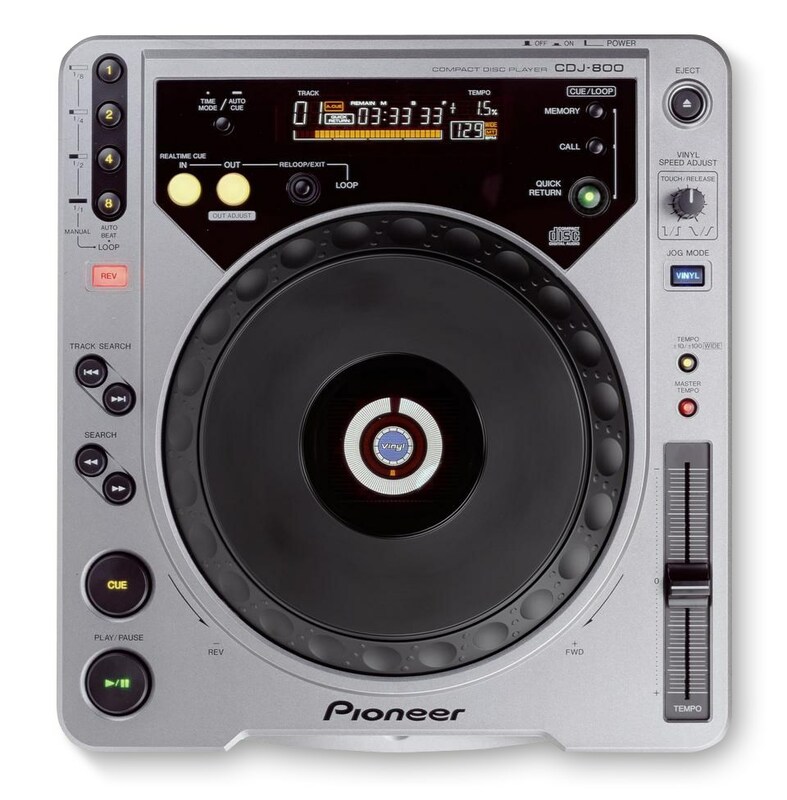 This model was eventually superseded by the CDJ-200, as the lower-end model. The iconic CDJ-1000 was the first practical DJ CD player capable of emulating the tried-and-true vinyl turntable. Amongst these features were the ability, for the first time, to scratch in the same way you could scratch a record… using the nice, new, 7″ jog wheel design that would become the basis of all top-end Pioneer CDJs to follow it. A display was introduced in the middle of the jog wheel which relayed positioning information… a handy tool for accurate cueing. A (very basic) waveform display was introduced for the first time, and you could even reverse playback or simulate a turntable start/stop. ou could store up to 3 cue points per CD and store them on an MMC card. Just after the turn of the millennium, the idea of downloading music and burning your own CDs was becoming a known, feasible idea. No longer did DJs have to cut acetate “dubplates” to play exclusive/rare tracks (which wore out after several plays)… now they could put it on a CD. Not only that, but they could manipulate the tracks in the same way that they could with a real turntable. This is the deck that put CDJs on the map. This version wasn’t drastically different than the original, but it did have a few desirable tweaks: an improved jog wheel , a +/- 100% pitch range, and faster response time. You could also now use the digital output for actual DJing (in the original, you could only use that for normal CD playback and not for manipulating the track). The MK2 also had a silver trim ring around the jog wheel… a subtle, but classy design change. Other improvements included a bigger, brighter, 100 dots waveform display (instead of the earlier 50 dots waveform), and the ability to record loops into Hot Cue slots instead of just cue points. Jog wheel resistance was made adjustable to suit different styles of handling. Also, the unit was changed to handle SD card media (for storing cues and loops) as opposed to the earlier MMC format.. This player helped bridge the gap between between the “pro” club player and the bedroom’s CDJ-100S. Though it was laid out in a similar manner to the 1000 and operated much the same way, the form factor was slightly different and it came in a silver finish. Unlike it’s big brother, it could only store a single cue point and loop at a time. Other differences include a center detent for pitch control at absolute zero (as opposed to the 1000’s override button), an auto-beat function, and slightly different jog wheel. The 800 featured “quick return”, which (when enabled) would cause playback to stop and return to the cue point when pressing the jog wheel’s top surface. This player allowed DJs to experience a fairly standard club setup, at a much more reasonable price point. Released at the same time as the MK3 version of the CDJ-1000, this model was a small update to bring things in line with the times. 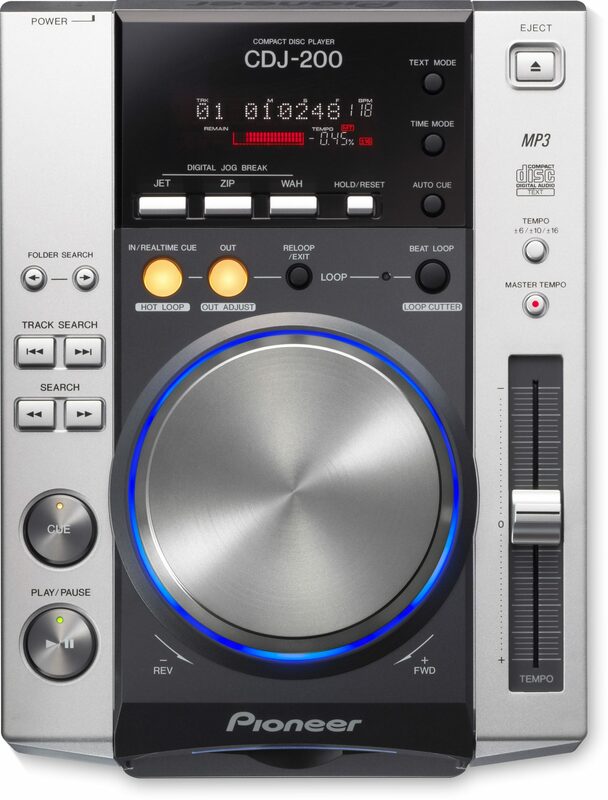 Most notably, mp3 playback was now possible on the CDJ-800. This model contained an improved jog wheel (carried from the CDJ-1000 MK2), slightly improved displays), support for CD text, a slightly bigger buffer, and (of course) mp3 playback. This also differed from the original in that, when cueing a record back and forth, you have to hit the play button to continue playback and not go back to the cue point. For this reason, a few people actually prefer the MK1, which required you to simply release the jog wheel to continue playback (which felt more like turntable behavior). 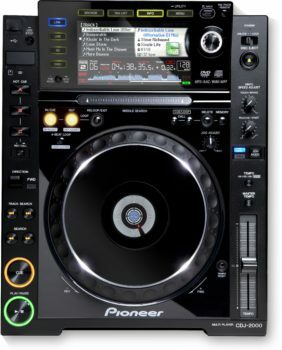 Pioneer probably started to realize that while they were established in the club market, they hadn’t released a true budget home-use CDJ since ’98. Thus was born the trusty CDJ-200. 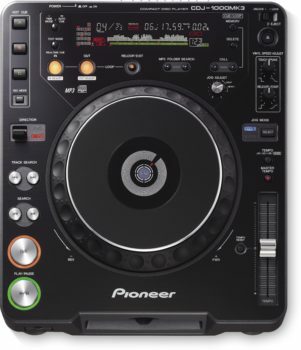 This replaced the CDJ-100s and was very similar in many ways. It still had three built-in sound effects: jet, wah, and zip, though the sound quality of these were improved. And, like its predecessor, the 200 did not support vinyl emulation. 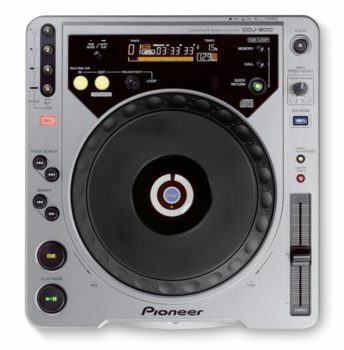 This is the first time Pioneer produced a CDJ that you couldn’t scratch on since 1998. Because of this, the CDJ-200 became very popular amongst dance/electronic DJs who were more interested in smooth blending of tracks. This was aided by the fact that it now had the same 0.02% pitch resolution available on the high end of the market. This short-lived experiment by Pioneer was packed full of nice and surprisingly modern features. 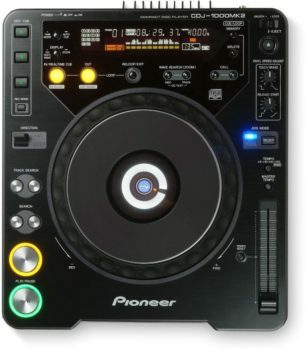 The CDJ-400 was the first model introduced by Pioneer that could be used as either a MIDI or native (HID) controller for DJ software such as Traktor or Serato, without the need for timecode. 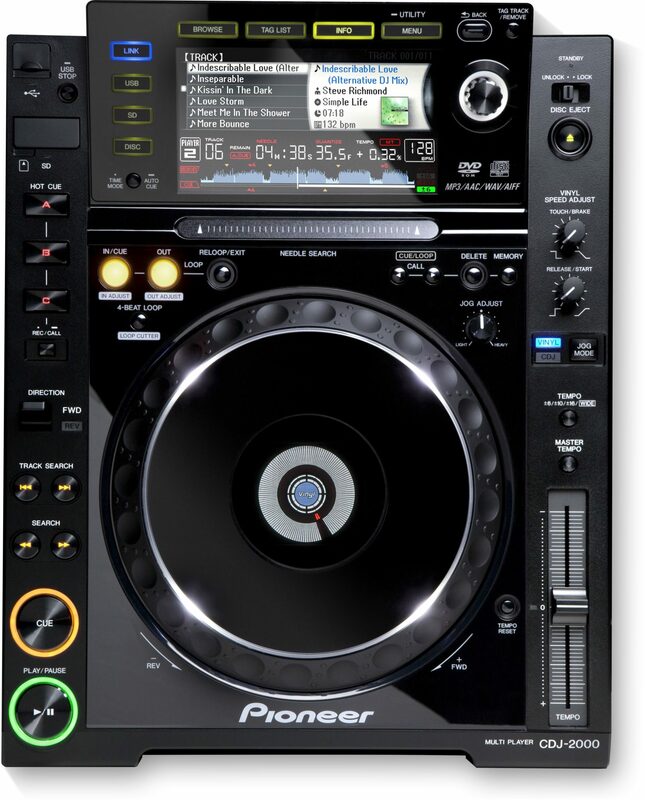 You could also switch from controller to CDJ mode without interrupting the music. 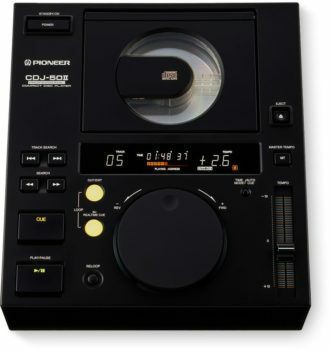 It’ seems possible that this was intended to replace the CDJ-200 with a scratch-friendly unit (note the same three effects… jet, roll, and wah) and modernize it a bit, but Pioneer had different plans for its lineup… (such as Rekordbox support). The 400 introduced a number of features to the lineup. It was the first to enable playback from a USB stick, the first to provide native software control without timecode, and the first to contain a built-in sound card. It was also the first to show a rotary cue indicator without using the center jog display (opting instead for an outer jog ring). A limited-edition model was also released, which replaced the orange illumination with cobalt blue. 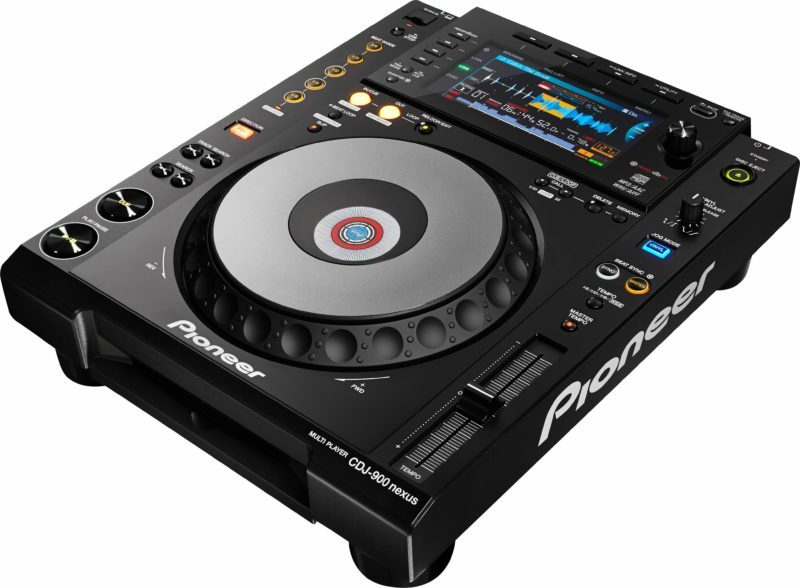 The CDJ-1000 had a great run, but Pioneer needed to keep up with the Joneses… specifically, all of the functionality that was becoming more and more accessible via laptops and controllers. Thus was born a new nightclub standard… the CDJ-2000. 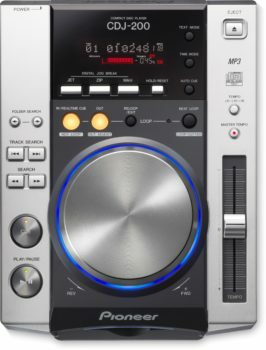 Touted as a “Professional Multi Player”, the 2000 can be used to play CDs, CD-Rs, DVD-Rs, MP3/AAC/WAV/AIFF on CD/DVD, USB stick or SD card; and also supports native (and MIDI) software control of standard DJ software without the use of timecode. Each unit has its own built-in sound card. It featured a large WQVGA 6.1-inch full-color 480 x 234 LCD panel for displaying song titles/jacket art, as well as detailed track information so DJs can select songs at a glance. The player supported their then-new Rekordbox software, bringing it into the modern era of music management. The 2000s also included Needle Search, and a built-in quantize feature which ensures cue points are set accurately and automatically. 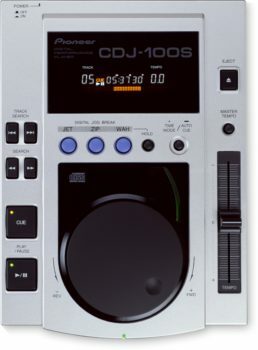 The 900 was introduced as a successor to the CDJ-800 series, but was more like a moderately more affordable CDJ-2000 (which it was released alongside). The 900 ditches some of the 2000’s fringe features: DVD+/-R playback, SD card playback, the fancy LCD screen (instead showing 4 lines of text), hot cue, needle drop/search, loop cutting, jog wheel tension adjustment, deck locking, illuminated cue and play buttons, and the illuminated jog wheel ring. The 900 also ditches the hot loop buttons in favor of an auto-beat function, though this functionality was added to the 2000 as a later firmware update. 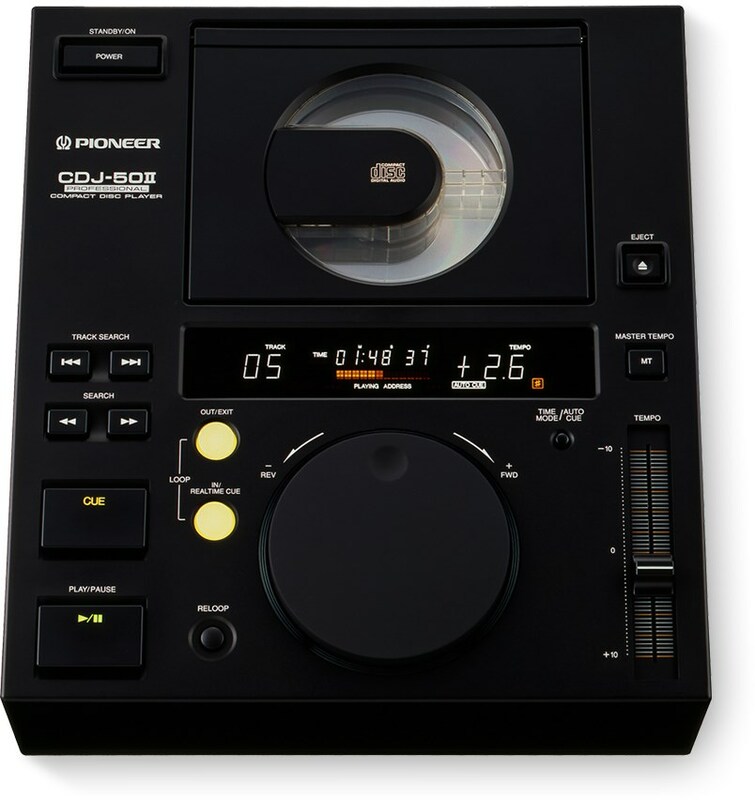 The CDJ 900 was the first to introduce Pioneer users to “Slip Mode”, which wasn’t even present in the CDJ-2000. 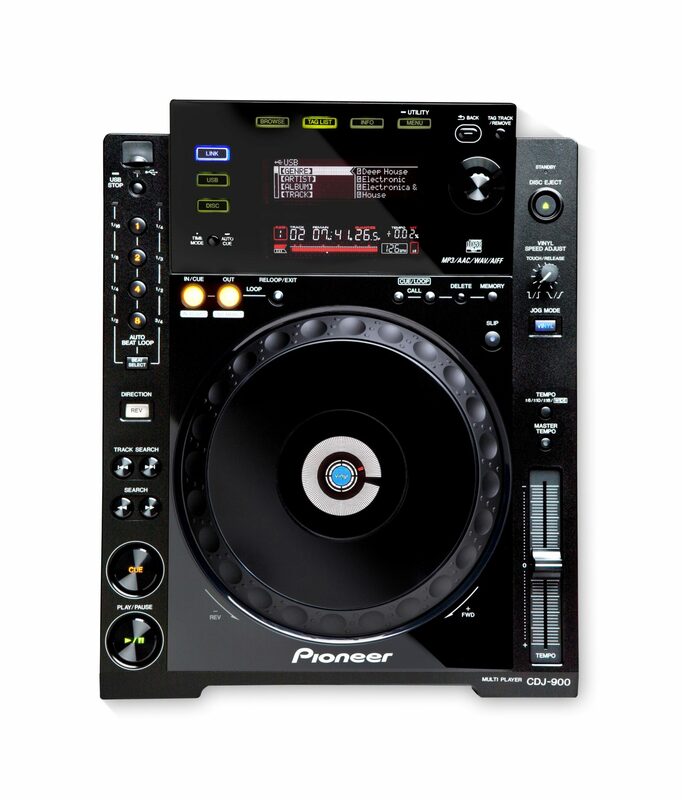 The CDJ-350 provided a very cheap introduction to the Rekordbox ecosystem at an affordable price. The purpose of this player was to provide entry level gear on a standardized setup, with some pro features included, for a price you can wrap your head around. It’s a sturdy, but no frills player… a CDJ-200 brought into more modern times. One interesting feature is BPM Lock: hold the button down and you can select a master tempo for your mix. Every track that is loaded (from any media) will be auto-pitched to that tempo. Not the same as sync, just a time-saving feature. 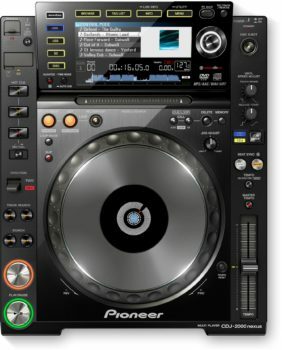 The current budget offering in the Pioneer lineup is the XDJ-700. 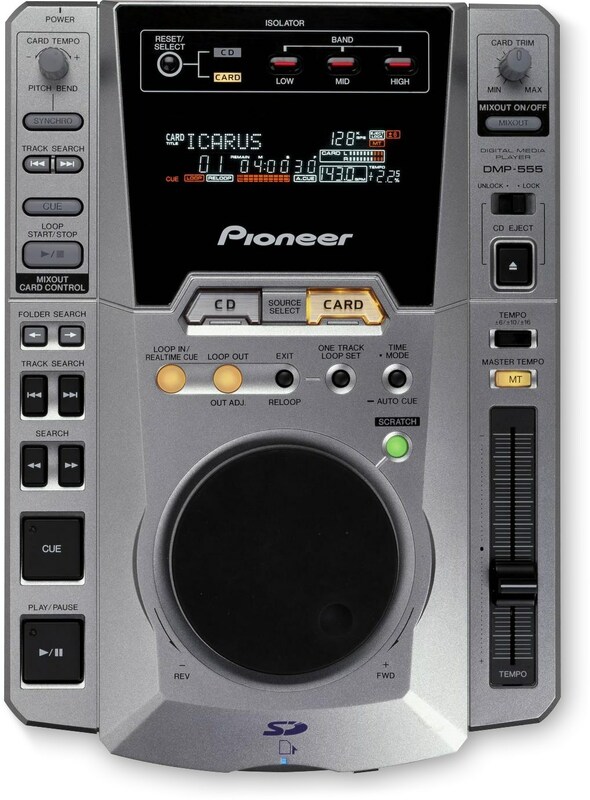 The “nexus” version of the CDJ-2000 replaced the original in 2012, and added quite a few features. This version of the top-of-the-line player makes some enhancements, such as WAVE ZOOM (which allows you to expand/contract the waveform display). You’ll be able to see it on the enhanced 6.1″ full-color LCD display which gives the kind of GUI functions previously reserved for laptop DJs. Now you are able to see not only your waveform and list of tracks, but you can zoom the waveform, beat count, phase meter, etc. Also, the display will light up tracks that are in a compatible key. 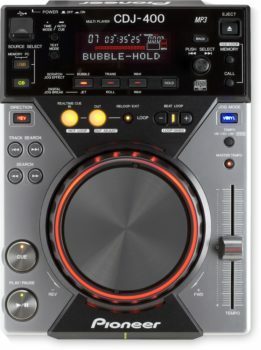 In a controversial move at the time, the new flagship player included the much-maligned Sync button, enabling the DJ to make full use of Rekordbox’s multi-deck mixing and Slip Mode capabilities. It also featured drastically improved Master Tempo, the new My Settings function, and the ability to play music stored inside tablets, smartphones, and laptops via Wi-Fi. The CMX-5000 was a 19” rack-mountable dual CD-player, and was Pioneer’s first attempt at this segment of the market. It consisted of a 2U section with 2 slot-loading CD drives, and a 3U “controller” section with jog dials and other controls. Shortly after the release of the CDJ-1000, the CMX-3000 was released as the new rack-mount option. Though it didn’t share quite the same feature set as the 1000, it was much more modernized (it had vinyl emulation, meaning it could “scratch”, though it wasn’t particularly suited to that task). 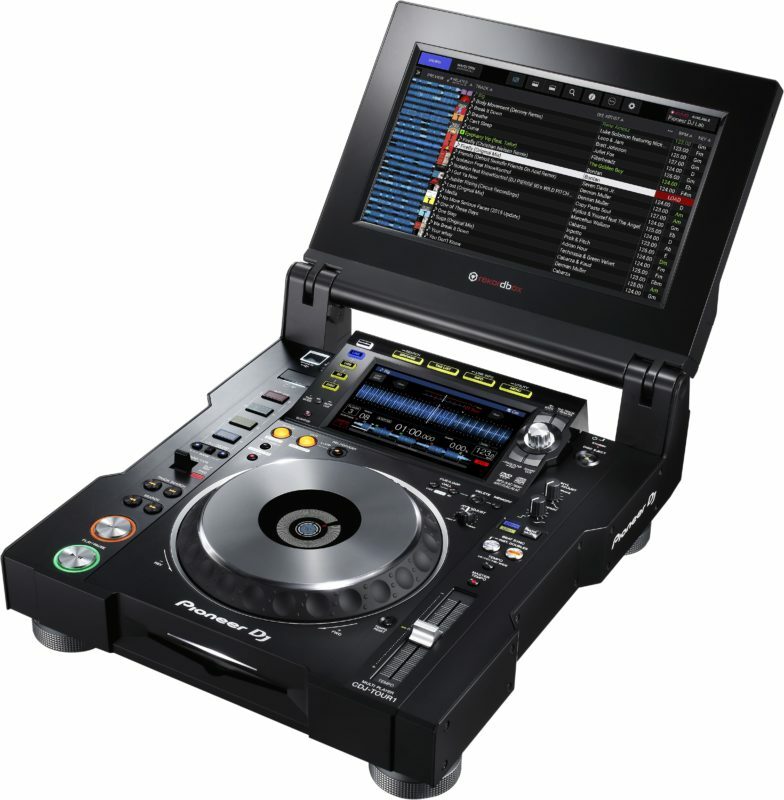 Because of its better pricing, many CMX-3000s found their way into mobile DJ setups and as backups in nightclubs. The DMP-555 was a single-deck CD player which had several innovations, such as SD card playback, and MP3 playback from memory card or CD. It was even capable of cueing and playing from the same media source, making it possible to DJ two tracks from a single unit. Despite these impressive features, its success was hampered in many ways. The product was plagued by a lack of updates and support, the SD card had a 2 GB limit, and MP3s couldn’t be directly written to the card. A special Pioneer writer was needed to transfer the music, to quell concerns over copyright infringement from music labels. The DVJ-X1 was a DVD-based “CDJ”, allowing VJs to scratch and mix video like a vinyl record. It featured realtime scratching, looping, and hot-cueing of video, and could sync audio/video streams together. It also played audio CDs, with features similar to the CDJ-1000. In 2006, the DVJ-1000 was released as the successor to the original DVJ unit. Unlike the larger X1, it was approximately the same size as the Pioneer CDJ-1000 decks and could fit into the same enclosures. The upgraded unit featured brighter displays, loop adjustments, auto-looping, and several new outputs (S/PDIF, composite, preview video, and control). If you’re new here, check out The Passionate DJ Podcast: a weekly talk show dedicated to the art and science of mixing music. Our goal is to become better DJs, together, through passion and purpose. Or, check here if you’d rather research DJ controllers. What’s your ideal CDJ-based setup? Post it up in the comments below!